Some, but not all, forms of cancer can be prevented. Here’s how to protect yourself. Does lifestyle really make a difference? By getting a sweat on. 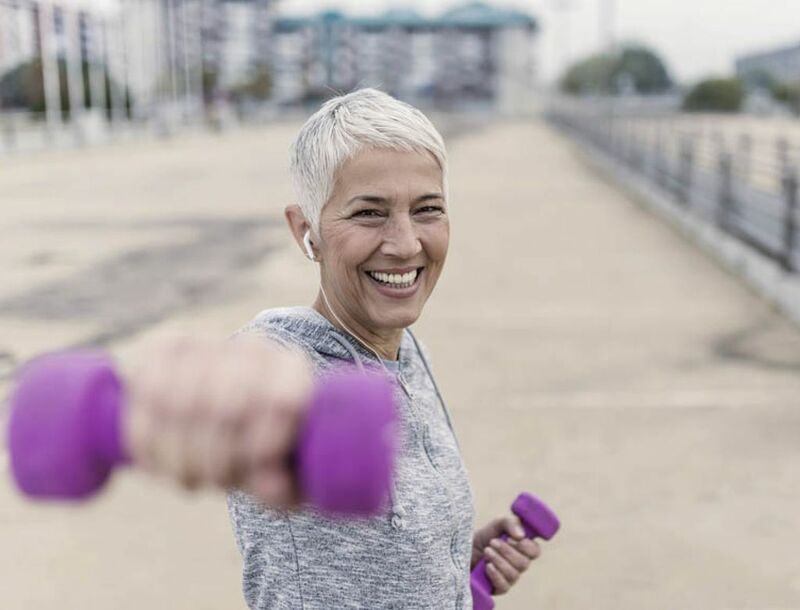 Exercise doesn’t just help us maintain a healthy weight; it has its own cancer-fighting benefits—including boosting the immune system and speeding up digestion, thereby reducing the amount of time that the gastrointestinal tract is exposed to possible carcinogens. The average American adult should aim for at least 30 minutes of moderate exercise—like a brisk walk—every day. “It doesn’t require marathon training,” says James Lacey Jr., associate professor at City of Hope’s Division of Cancer Etiology in California. Try to avoid processed meats, such as bacon or hot dogs, and red meat. Both seem to cause inflammation in the body, increasing a person’s risk of colorectal cancer. In general, it’s best to go Mediterranean or Japanese: diets that incorporate lots of fruit and vegetables and are high in fiber. But opt for brown rice rather than white, which can cause a spike in blood sugar. The American Institute for Cancer Research recommends that you avoid sugary drinks, eat no more than 18 ounces of red meat a week, and fill at least two-thirds of your plate with vegetables, fruits, whole grains, and beans. How harmful are alcoholic drinks? “Alcohol is a recognized carcinogen,” says Alice Bender, head of nutrition programs for the American Institute for Cancer Research. “It can damage DNA. It can increase hormones in your body, like estrogen, that can fuel cancer.” Women should aim to drink no more than 5 ounces of wine or 12 ounces of beer a day; men can have double that limit. Throw away the cigarettes too. Smoking is linked to 81 percent of lung cancers, and raises the risk of 12 other cancers, including those of the larynx and mouth. Fortunately, quitting has immediate benefits. Just 20 minutes after doing so, a smoker’s heart rate and blood pressure drops; within 12 hours, the body’s carbon monoxide levels are back to normal.